. : House Removals │Moving House London :. House Removals | House Moves | Moving Home. 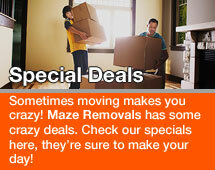 Let Maze Removals move you! 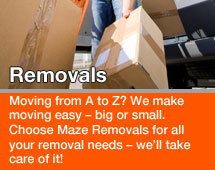 Maze Removals will provide a home removal service tailored to your personal requirements. The combination of experienced staff and our fleet of vehicles allow us to provide a cost effective and professional service to you. For house and flat removals, big or small, you can even call us to get rid of unwanted furniture, white goods or rubbish. Moving house or anything is easy with house moves Maze Removals! If you prefer to pack up your own goods, we offer a door to door removal service. You can order boxes and packing supplies through us and if required we can pack any items that require special attention. Moving house in London is a breeze with Maze removals. House moves has a solution for all your moving needs. Get a free quote, call Maze Removals on 07847541036 or email sales@mazeremovals.co.uk. We’ll take care of the rest. Our London removal team is highly trained and well equiped to ensure that your move will be as smooth as possible. Wether its a home move, a house move or office relocation, we at London Removals can handle it all -home or commercial. 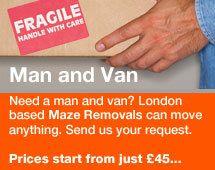 For all your relocation needs in London just call Maze Removals on 01895473398. We are fully dedicated towards relocating your office or moving your home. To provide an efficent and cost effective removal service in London and the wole UK. Our customer base has grown steadely, so please read some of there testimonials. We are your A to Z removals solution. 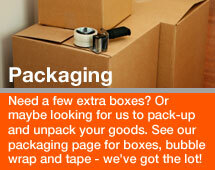 Wether you need Packing or storage call us at Maze Removals we will take care of the lot. We do removals in all the areas of london. North London, West London, East London and South London.